HANNOVER, Apr. 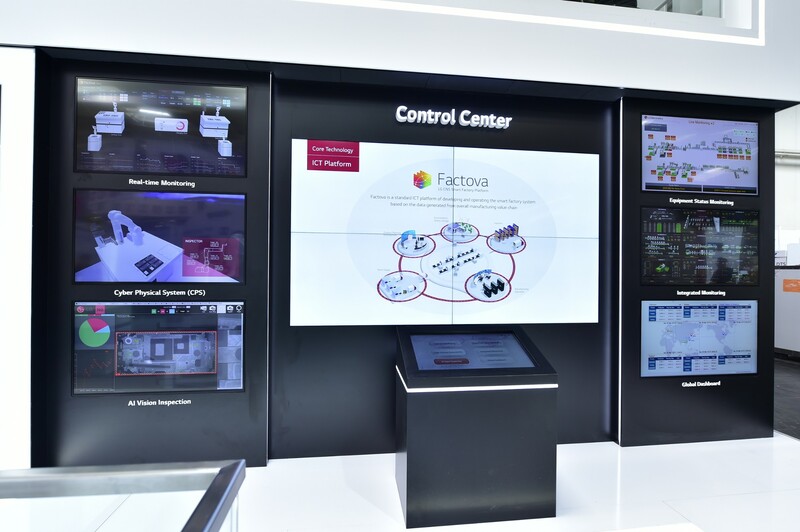 1, 2019 ― LG Electronics (LG), in conjunction with sister company LG CNS, is showcasing its leading manufacturing technologies through innovative solutions at Hannover Messe 2019 in Germany from April 1-5. 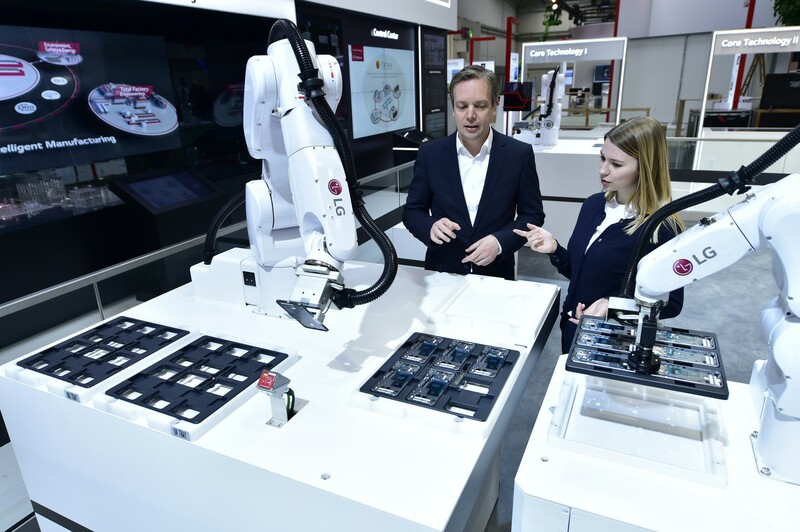 With interests in numerous sectors ranging from industrial self-driving robots to an integrated platform for automated factories, LG is a major player at Hannover Messe, the world’s largest industrial technology exhibition with about 6,500 companies from 75 countries. 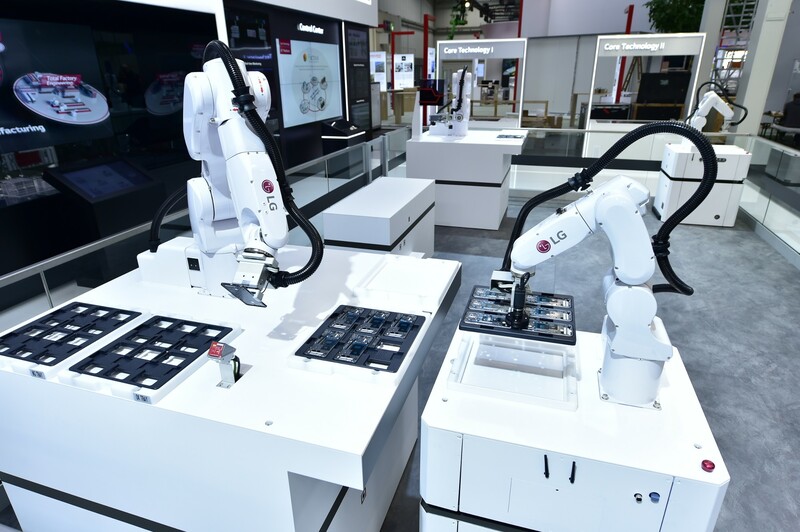 LG is showcasing vertically and horizontally articulated robots developed by Robostar, a Korean industrial robotics company in which LG holds a 30 percent share. The horizontally-articulated SCARA (Selective Compliance Articulated Robot Arm) is used to transport and assemble components on production lines. Robostar’s 6-axis robots – similar to human arms and can move across 6 axes to transport, assemble and weld – are currently in operation in LG’s vehicle components plant in Incheon. LG Electronics will further present a range of sensor products to assist workers and create safer working environments. For example, tVOC (total Volatile Organic Compound) Gas Sensor helps prevent gas leaks by warning the central control system of harmful gas. LG’s 3D ToF (Time of Flight) Sensor attached to self-driving AGVs accurately identifies obstacles, thus strengthening the safety and efficiency of the movement of robots. What’s more, Self-Powered Electric IoT Sensor detects current leakage or electric discharge in real-time. Under this year’s theme of Integrated Industry–Industrial Intelligence, international pioneers across multiple industries will come together to showcase the transformative industrial technologies utilizing AI and machine learning of today, and tomorrow.